In an extraordinary performance, art student Natalie Wearden plans to eat print-outs of every one of the 3,000 images on her Instagram account in a ‘ritual’ performance. 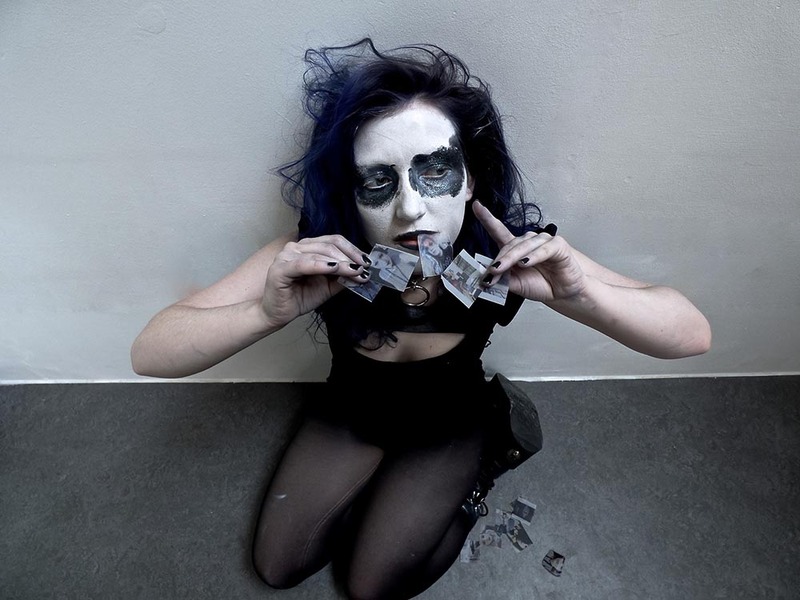 Taking place on Monday 19 June at 10am as part of the Wimbledon College of Arts, UAL Summer Shows, the performance will see 22-year-old Wearden consume the images, printed onto tracing paper, as they are deleted from her feed in an act which aims to destroy elements of her teenage self in order to allow her to transition from being a student, to being a ‘finished adult or artist’. One of seven ‘rituals’ planned for the Summer Show, the performance installation will take place at the college, in a space filled with 250 balloons that will each contain print outs of my 3000 Instagram images on tracing paper. They will be exactly the size they are on an iPhone screen and there will be 12 images inside of each balloon; this is the amount of images that appear on the artist’s feed at one time. 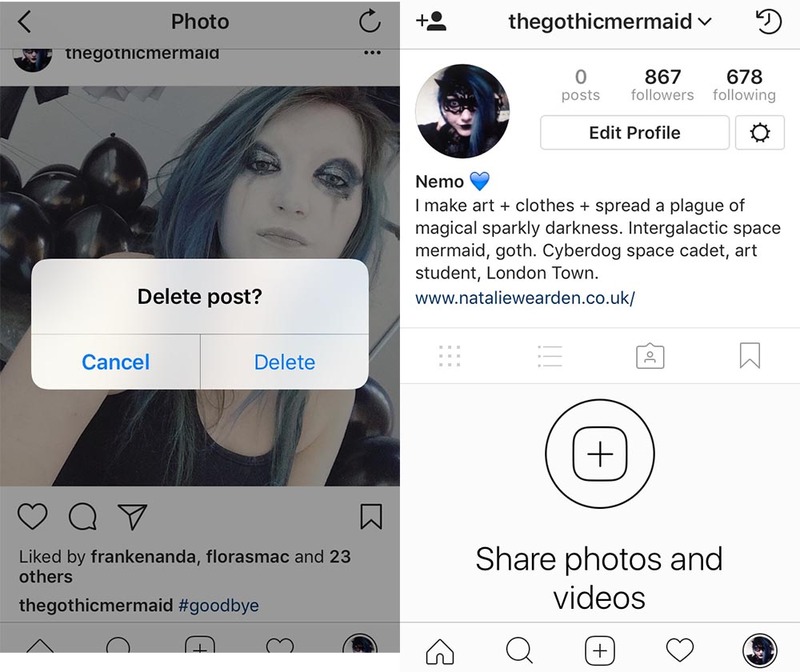 Fellow artist and academic Phoebe Patey-Furguson will read the captions of each Instagram photo and delete the image it responds to, bursting another balloon every twelve images that she deletes. As she bursts the balloons and the paper falls to the floor, Wearden will eat the images. Speaking about the performance, Wearden, a student graduating from Wimbledon’s BA Print and Time-Based Media course, said: “Instagram has allowed me to document my journey more consistently than any other platform and since I set up my account I have begun to gather a following or ‘fan-base’. My Instagram account is an amazing document of a teenage dream coming to life, and also a spectacular example of ‘the narcissism epidemic’ that tabloid newspapers are so fond of. I often feel like my brain was poisoned by the internet a long time before I even had the criticality to question what I was doing and whether or not I wanted to control the way people saw me so meticulously. I was already addicted to my online performance before I had the knowledge to understand what it was I was becoming addicted to. “I feel like there is something really nice about ingesting my digital self: the physical photograph, that came from the digital feed, will be destroyed in a visceral way so that it no longer exists in a physical, or digital format anywhere in the world. But, unlike burning them, for example, it’s my own body that breaks down the images and destroys them. It’s a kind of bodily quest for revenge on the internet, or the ‘selfie’, or a reclaiming of my mind and body’s relationship with digital space. Screenshots from Natalie’s account as she deletes the last photo during the performance. The Undergraduate Summer Show runs at Wimbledon from 15 – 24 June 2017.